Chrome-to-Phone coming to the iPhone? 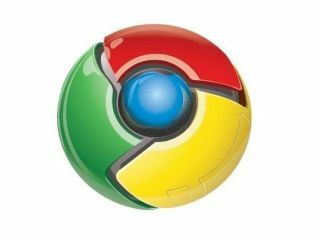 Google has stated that it would love to bring its Chrome-to-Phone services to platforms beyond Android. This means that we could see the ultra-cool functionality of simply clicking on a button in the Chrome browser to have links, maps and Youtube videos pumped to an iPhone. Hugo Barra, director of products for mobile at Google, said: "We'd like to bring [Chrome-to-Phone] to other platforms, but we have to figure out the right way to do it." "The notifications infrastructure for Android [2.2] is amazing and unique; at that just doesn't exist on other platforms, so the experience wouldn't be as magical as it is at the moment," he added. It seems unlikely that the service will be ported to any other platform in the near future, given that Chrome-to-Phone was designed with Android in mind. Back in April Google told TechRadar that it was looking to push Google Maps Navigation onto other phone platforms as well, but given we haven't heard anything on that for a while, we can't see Chrome-to-iPhone appearing anytime soon.